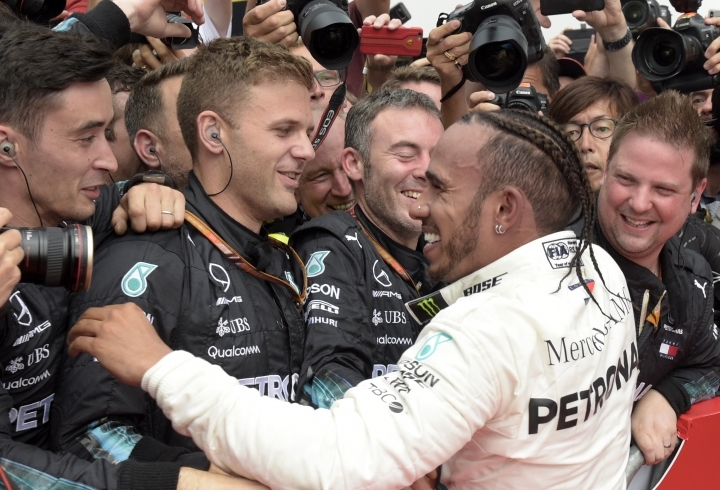 HOCKENHEIM, Germany — There is something about adversity which drives Lewis Hamilton on. Even though he was won four Formula One titles, and 66 races, Hamilton draws huge motivation from being against the odds. In the past two races, he has finished first and second after being way down on the grid. He won Sunday's rain-hit German Grand Prix after starting from 14th . In the previous race, he was bumped off the track on the first lap but rose from last to second at the British GP with another superbly skilled and resilient drive. "When you're up against adversity ... it's always a chance to show what you can do and driving from the back is so much more fun," Hamilton said. "You never know how far you can go. Sometimes you are able to go the distance." 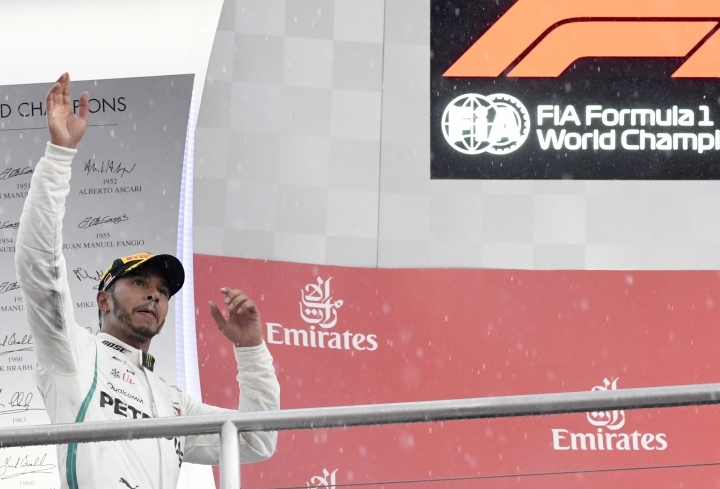 Hamilton's love of fighting from the back is somewhat ironic, considering he is F1's record holder with 76 pole positions — eight more than Michael Schumacher. But carving through the field gives him a form of pure energy, rekindling the joy from his cash-strapped youth competing in go-karts. "It's very reminiscent of how I started out. The kart that I had was really, really old, owned by five different families," Hamilton recalled. "My dad spent a little bit of money to shave it down and re-spray it ... and made it as brand new as it could be. But it was still, he would call it, a four-poster bed. 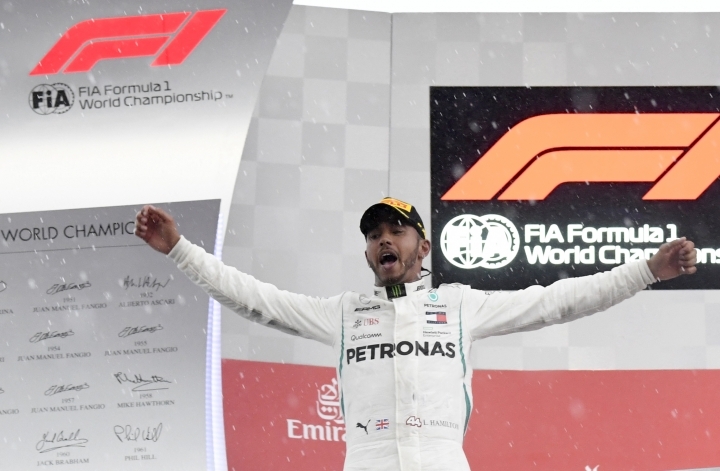 "But I'd always start at the back and I'd have to wriggle through the more experienced (drivers) and faster cars," added the 33-year-old Hamilton, fondly remembering his formative racing years. "That's where I learned to do it, that's what I was best at doing." Few backed Hamilton to succeed in Germany, especially after a hydraulic failure hampered his qualifying session. Furthermore, archrival Sebastian Vettel was on pole position in a supremely quick Ferrari and gunning to extend his championship lead. But Hamilton won, with a little help from Vettel's sudden crash on a sodden circuit , and described his performance as possibly his best. "I feel like I drove the best I can remember driving," he said. "I've had a lot of races, and there have been a lot of other great ones. But this one I didn't make any mistakes, I was really proud of it." If he needed any further motivation, then the German fans at the Hockenheimring inadvertently gave him some. "There was a lot of negativity before the race ... and when I came here, there was a lot of booing," Hamilton said. "The weird thing is that I was really happy about it." Hamilton certainly silenced his Hockenheimring hecklers in style. He also regained control of the title race, moving 17 points ahead of Vettel heading to Hungary's Hungaroring on Sunday.